We all want to look our best, and the beauty industry knows this only too well. Many products and services are not cheap and the cost is sometimes prohibitive for those who are looking to save money. However, just because you’re not loaded doesn’t mean can’t look good. 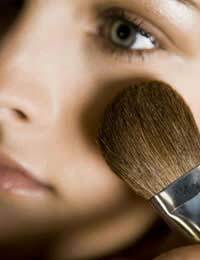 There are plenty of ways to beautify yourself without spending a fortune. If you’re having a big night out or fancy a new look, there’s no need to splash out lots of money on a whole new make-up set. Go to a department store and ask for an in-store make-over. Yes, they’ll try to sell you all sorts of products but you’re not obliged to buy anything. Spas can be fun but they are usually very expensive. Try having a spa day at home, alone or with friends. Pool resources, so for example one person could bring nail equipment such as files and polishes, while someone else supplies face masks and another person brings hair treatments. If you don’t have these items at home, magazine testers and own brands will work just as well. Try out manicures, pedicures, facials and conditioning hair treatments. As for those free samples we mentioned above – look out for them as they can really save some money. They often come free with magazines but if you’re a serious money saver you probably refuse to spend money on these. All’s not lost though – you can sign up for various websites which specialise in samples of beauty products. You’ll usually have to register with your email address. Get a hairstyle that is low maintenance. If you need to have it blow-dried professionally each week or need various products and implements to make it look half decent you’re likely to end up spending a lot of money. Similarly, if you have your hair coloured at the salon, often you’ll need to go back at least every six weeks to have the colour topped up. For a fraction of the money you’ll spend at the salon you could colour your hair at home. Or, it might be easier to get a friend to do it for you. Most high street dyes cost around £5 whereas a salon experience could cost ten times this. It’s not advisable to cut your own hair, or have it cut by a friend, unless you or they are a trained hairdresser or the style is very simple. It might seem economical but it’s likely it will either look terrible and make you miserable or you’ll end up going to the salon to get it rectified anyway. It’s worth considering going to a hairdressing student night for both a cut and colour. Trainee hairdressers need hair to practice on and they are supervised throughout the consultation by an experienced hairdresser. Ask at local salons and at local colleges about whether they need any models for the trainees. You might not know it but you probably have loads of beauty products in your kitchen and around your home.